Other Training Materials: We’re not the only ones working to improve the experiences and outcomes for autistic students in higher education. Therefore, we offer links to other people’s training materials via posts categorized as “training-other” on this website). Quick Links: Members of the CAN team are actively generating new scholarship related to college students with autism. Published Article: Cox, B. E., Thompson, K., Anderson, A., Mintz, A., Locks, T. Morgan, L., Edelstein, J., & Wolz, A (In Press at Journal of College Student Development). College experiences for students with Autism Spectrum Disorder (ASD): Personal identity, public disclosure, and institutional support. 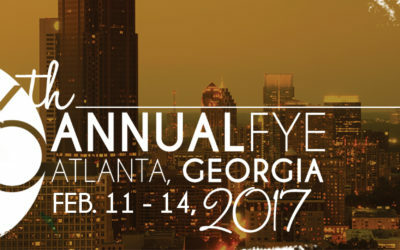 IMFAR 2016 Presentations – Drawing on two years of qualitative research, the College Autism Network team is presenting four (4) posters at the 2016 International Meeting For Autism Research (IMFAR). 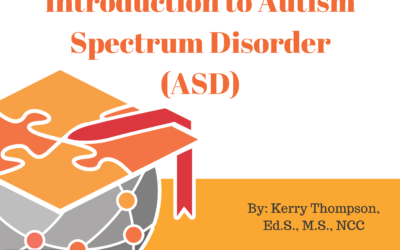 Posters include analyses of autistic students’ concerns, use support services, efforts to find safe spaces, and development of personal identity. UROP Presentations – Hosted by the Center for Undergraduate Research and Academic Engagement (CRE), the Undergraduate Research Symposium is an annual showcase for undergraduate student researchers from across campus to present their work to the university community. 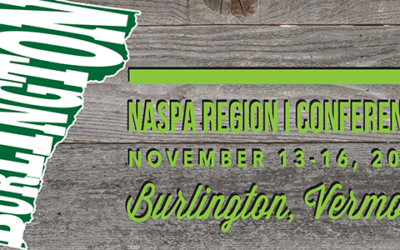 NASPA 2016 Presentation – This presentation helps introduce practitioners to college students with ASD, identify common barriers to success, and share practices to overcome these challenges. Through the lens of student vignettes, the audience will discuss the autistic student experience on campus and learn why common institutional practices may need to be amended in order to better serve this population. 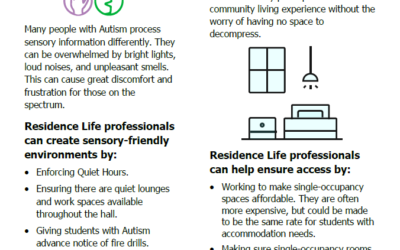 A 1-page introduction to college students with autism for housing and residential life professionals. 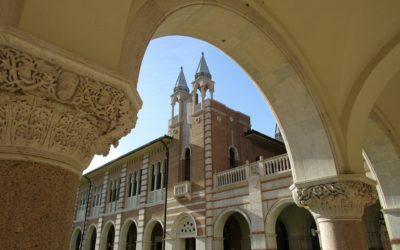 Campuses are seeing an increase in the number of students with diagnoses of Autism Spectrum Disorder/Asperger’s Syndrome. difference in responding to these students. How many students with autism are coming to college? Recent estimates say by 2020 it could be as many as 433,000. 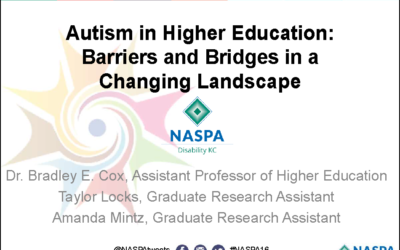 This session highlights the four main challenges when it comes to college students with autism. These include the individual, the institution they are attending, the school system itself, and misunderstandings from society. 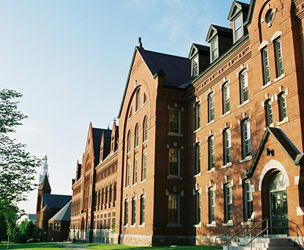 Over 50,000 students with Autism will enroll in college each fall, a number that is growing annually. How are campuses responding? 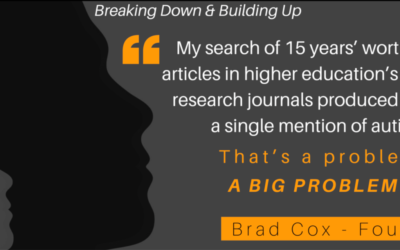 A review of sixteen major higher education journals shows scant interest in this population. But strategies must begin with research. 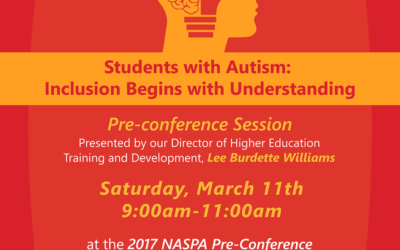 This session will highlight a current study that looks at peer perceptions of students with Autism. The findings offer insights into developing a campus culture where students with Autism are understood and more likely to succeed. Campuses are seeing an increase in the number of students with diagnoses of Autism/Asperger Syndrome. 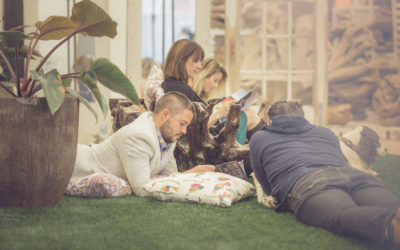 These students bring with them both remarkable talents and resilience as well as social, behavioral and communication challenges that can complicate their campus experience. First-year students with autism are especially vulnerable because of the challenges they face responding to transitions. 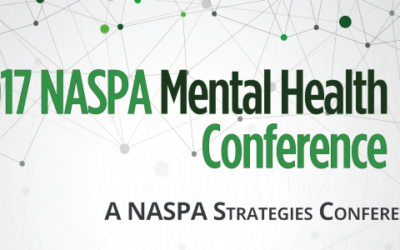 Participants will learn about autism: its common characteristics and how those may be problematic, and how a campus can become a more inclusive place for students on the spectrum. The Curriculum Development Interns will play an integral role in developing and identifying the training initiatives of the College Autism Network (CAN). The interns will develop curricula, materials, and resources for distinct stakeholder audiences. 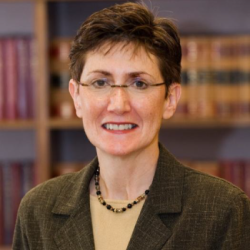 One intern will focus on training for postsecondary administrators and instructors; the other intern will focus on training for autistic students and their advocates. Curriculum Development Interns will also deliver training programs locally and nationally, both in-person and online. 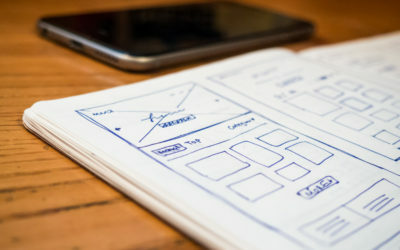 The interns will work closely with other team members of CAN to produce training materials that are evidence-based, accessible to all types of learners, and scalable across multiple platforms. 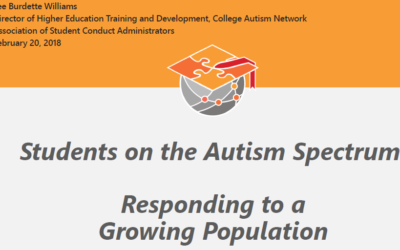 The Institutional Outreach Intern will cultivate effective working relationships between the College Autism Network (CAN) and institutional stakeholders at colleges and universities from across the country as well as connections among campus-based ASD programs. 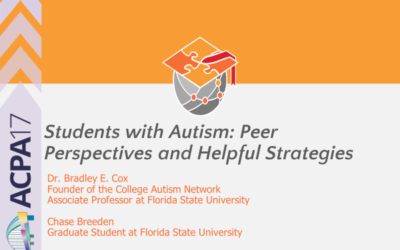 The intern will connect with student advocates and college administrators at campus-based ASD programs to gather information on specific initiatives, research, and good practices designed to support college students with autism. The person in this position will work with CAN’s Student Advocacy and Support team to highlight these initiatives by writing blog posts, producing program summaries, and contributing to an online database of programs and services that facilitate postsecondary success for autistic students. 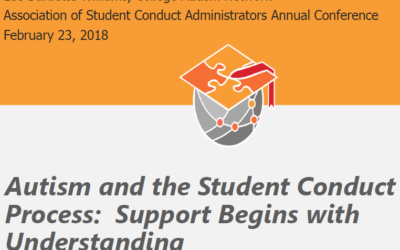 The Student Organizations Intern will play an active role in building grassroots, student-led organizations supported by the College Autism Network (CAN). As part of CAN’s Student Advocacy and Support team, the person in this position will work with active undergraduate students to initiate, develop, and advise a new FSU student organization supporting and advocating for students with autism. In addition, the intern will work to identify and interface with similar student organizations at universities across the country, ultimately creating a national network of student organizations. This website provides the viewer with free and interactive learning modules. 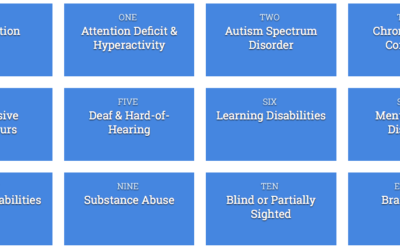 These modules inform the viewer of basic information of each disability listed. This information includes myths/facts, definitions, implications for learning, a video, and a scenario section. Click this link to access an interactive free educational resource that highlights many disabilities that impact students on our campuses! The Social Media Intern manages the College Autism Network’s (CAN) social media presence. Working with other members of the Media and Communication team (Graphic Design, Video Production, Web Development and Design, and Public Relations), the Social Media Intern will leverage social media to cultivate an engaged network of stakeholders committed to improving college access, experiences, and outcomes for students with autism. 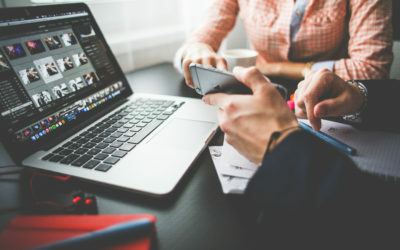 The Social Media intern will manage the day-to-day activities of CAN’s Facebook and Twitter account, implement processes to facilitate efficient interaction with our digital clientele, and work with the leadership team to develop a long-term strategy for the College Autism Network’s social media efforts. The Public Relations (PR) Intern oversees the media relations functions of the College Autism Network (CAN). 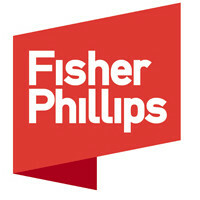 This PR specialist will establish relationships with local and national press outlets for the purpose of securing placement in paper, TV, and online publications. 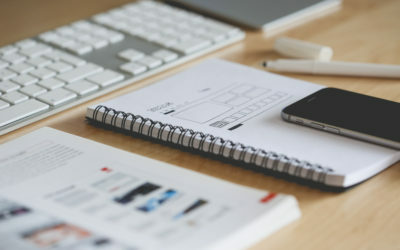 As part of the Media and Communication team (Graphic Design, Video Production, Web Development and Design, and Social Media) the PR intern will help accelerate the growing media presence of CAN. 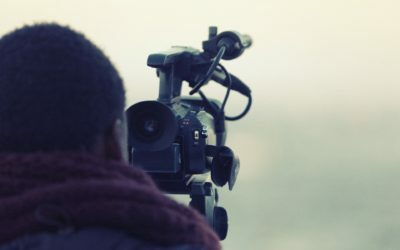 The Video Production Intern will play an active role developing videos that will shape public perceptions about autism and the College Autism Network (CAN). The intern will work with a Media & Communication team (Graphic Design, Website, Social Media, and Public Relations) to produce short, videos that will be used for public advocacy, marketing, training, and content dissemination. The intern will also lead the production of videos for CAN’s signature CanDoCollege project, which will post weekly videos, pictures, and/or essays highlighting individual college students with autism. We envision the intern creating material inspired by projects like Humans of New York and I, Too, Am Harvard. Through the lens of student vignettes, the audience will discuss the autistic student experience on campus and learn why common institutional practices may need to be amended in order to better serve this population.